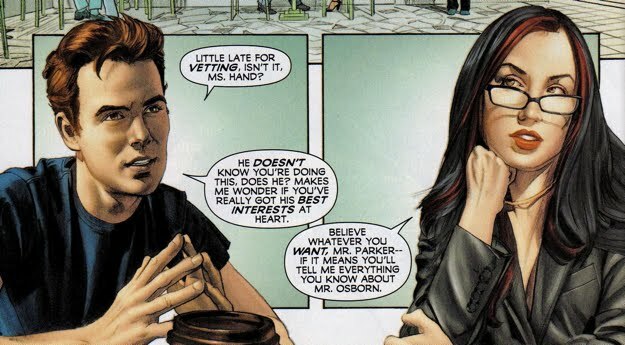 Victoria Hand was Norman's selection for the deputy director position in his peace-keeping task force H.A.M.M.E.R., primarily a result of her stance against the regimes that preceded Osborn. 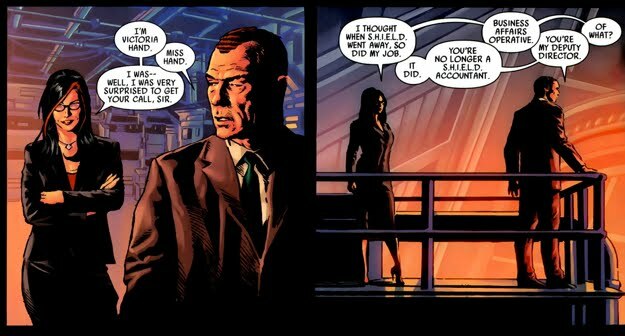 Hand, a former accountant in the S.H.I.E.L.D. organization, had established a strong set of convictions and these convictions ultimately cost her both her job and her relationship with a fellow agent named Isabelle. 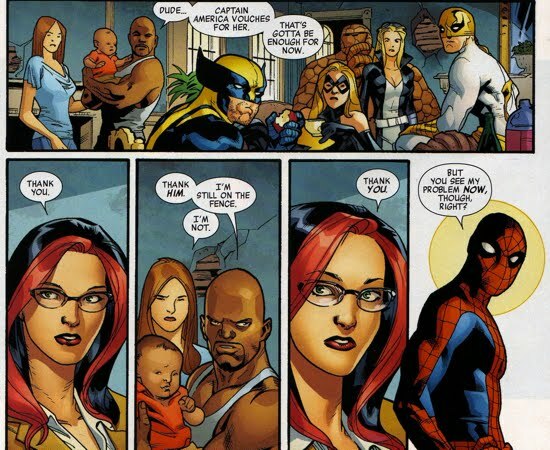 She disagreed strongly with the manner in which Nick Fury was managing his war on terrorism, so Victoria sent him a letter explaining her thoughts. Fury had her relocated and Isabelle left her because she warned Victoria to not send out that letter. 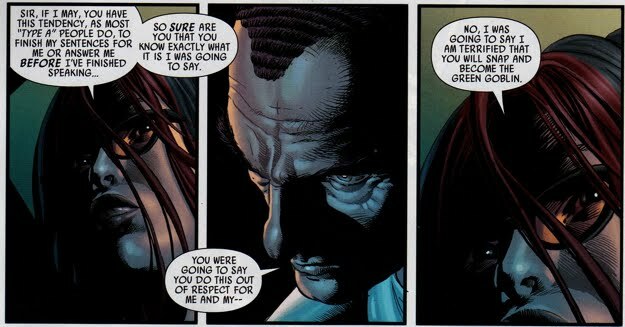 Of course her disapproval of Fury was ultimately what attracted her to Norman Osborn and a few years later she found herself with an unexpected promotion serving as Norman's (red) right hand (puns intended!). Hand's participation within H.A.M.M.E.R. allowed her to be a major player in world affairs, so, like her boss, she seemed to be everywhere and anywhere during Norman's tenure at the top of the world. She would constantly encourage him to seek professional help when he was getting too involved and the stress would be literally driving him mad. 1. Victoria was tasked with deciding what the acronym H.A.M.M.E.R. stands for (for the record, no name was ever provided). 2. 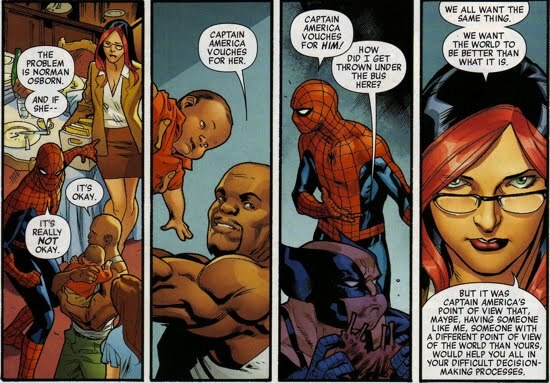 She also aided Norman Osborn during his search for Tony Stark. 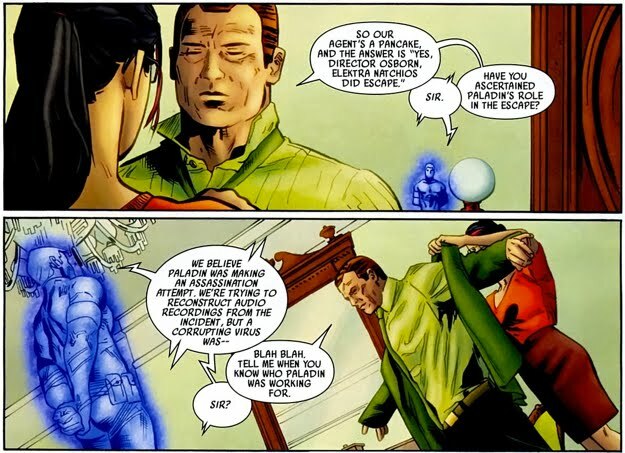 Victoria was witness to Norman's use of violent force against a commercial airliner in order to gauge Pepper Potts' capability in her new Stark-tech suit. 3. It was Ms. Hand that uncovered the group responsible for placing a bounty on the ninja Elektra's head (it was a group of former S.H.I.E.L.D. agents). 4. Victoria was aided by Ms. Marvel (aka Karla Sofen) when they set a trap for Bruce Banner that exposed him to gamma radiation. 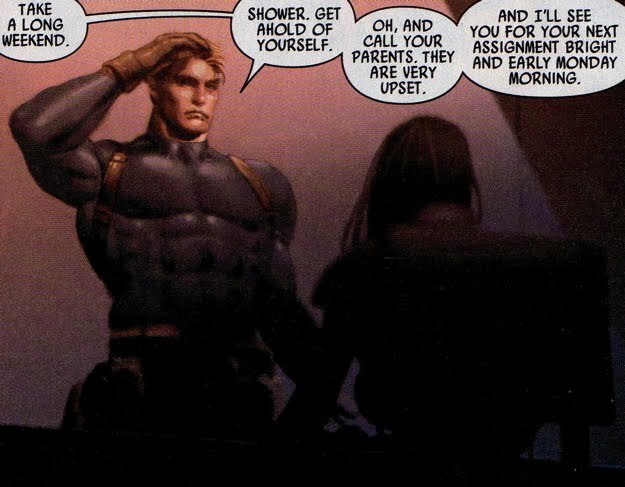 The plan was to have Skaar settle the score on his father the Hulk and Osborn would get to kill two birds with one stone. 5. She was critical in helping Osborn detain Luke Cage and Iron Fist, Brother Voodoo, The Thing and company made an attempt to free Cage, she made a valiant effort to fight them off. 6. 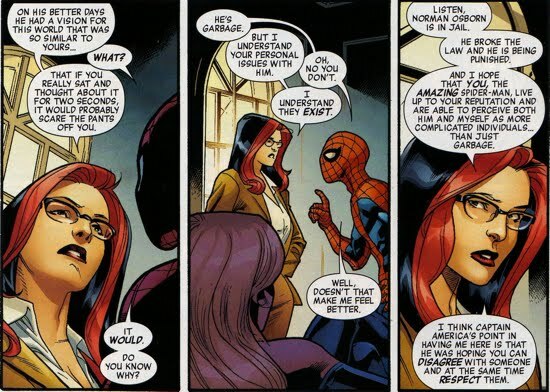 In one of her more defiant acts toward Norman, Victoria independently investigated his history as the Green Goblin, which meant interviewing one Peter Parker. Norman later destroyed all of her research after issuing her some veiled threats. Victoria fought alongside Norman during his siege on Asgard, commanding the helicarrier, so when Norman broke down she was taken down as well. The detailed outline of the events during that siege are explored here. 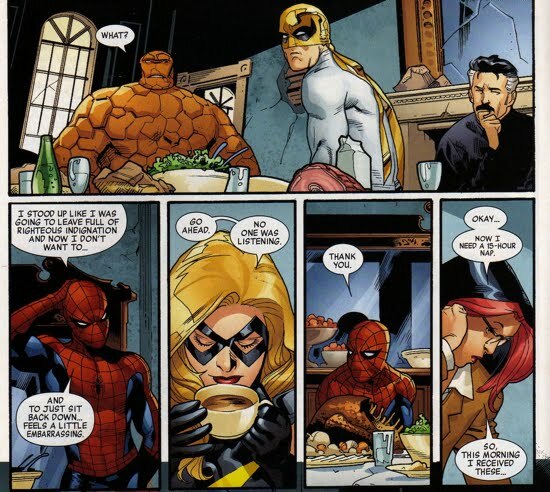 She did not resist arrest once the Avengers brought her into custody and she did not regret her actions. 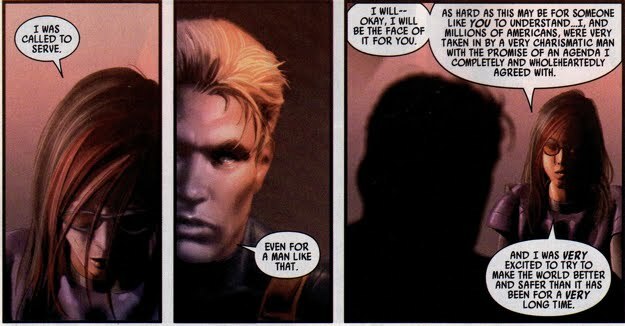 Soon after, she was approached by Steve Rogers, who was impressed with her show of patriotism and reassigned her to support the New Avengers.